Need to check a student's grade or look at a past assessment? Restore your deleted class. To prevent data loss, we never completely delete classes but rather just store them away for you, just in case! Sign on and click your name in the top right corner. 3. 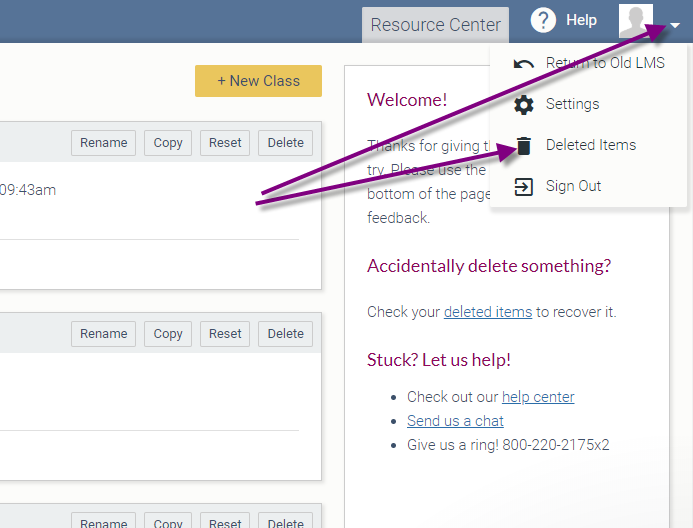 Find the class or exam you want to restore and click Restore. Classes will be restored to your My Classes tab. Exams will be restored to the class you choose. Want to use your restored class for new classroom of students? Use Reset!